Earlier today, Into It. Over It. 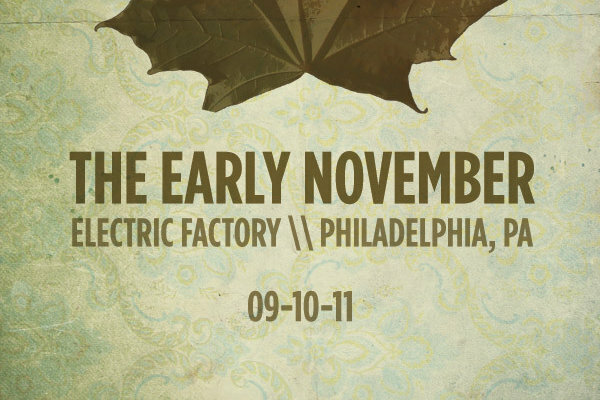 and Man Overboard were announced as openers for the sold-out Early November reunion show in Philadelphia, September 10. Support for the band's November 26 show at the Starland Ballroom in Sayreville, New Jersey, will be released sometime next week, according to the Early November's twitter. Tickets for the New Jersey date are still available.